You’ve got BIG dreams for your business. You want to expand your reach and change people’s lives. Think you’re ready to book a web designer for your business? Here’s a list of 5 things you’ll want to get setup before you find a web designer. It seems like a big, scary word but I'll break it down for you. Remember: Your branding isn’t only the look of your business but just as importantly, the feel. How do you want your dream clients to feel when they work with you? Excited? Confident? Empowered? Ever landed on a half-finished website? The images are missing and the links don't work? All the text is filler text and it’s just a skeleton? What did you do? Stay on the site and fight for the info you wanted, or click away? My bet - you clicked away, frustrated. Not ideal - and definitely didn’t win business. A website without content is just the beginning of the design in reality. So help your web designer out - come prepared with your content ready to load. Pro tip - depending on the designer you choose, they may require all materials before they begin work. Make sure you know what your designer’s policies are before you start work. Speaking in visual terms can be a struggle for most people who are not designers. That’s not a big deal though, all you’ll have to do is a little research. Start hunting and pinning - try and cast a wide net, not just website photos, but also photos of people and places. KEEP pinning - try to shoot for about 100 pins. Edit - Leave your board for a day or two and then come back to it. Have a critical eye and remove any pin that does not excite you again today. Shoot for 40 to 50 pins and then call it a day. Another great way to help your web designer is to offer several websites in your niche that you like *and* don’t like. Get specific about why - do you love the use of parallax scrolling? Absolutely hate when a website has a sidebar? Make sure your designer knows. Like a treasure map - you want to be able to guide your dream clients through your website effortlessly. Get specific about what your site’s goal is and your web designer will have no trouble creating the site to match. So what's your website's main goal? You need to give your designer a good idea of the functionality you’ll require for your business. Think you will only be blogging but want to build your email list with a opt-in freebie? You won’t need sophisticated shopping carts and thank you pages since you won’t be using them. Planning to host weekly webinars? Make sure your web designer knows so your site promotes your latest webinar with ease. Now is the time to dream big. Think about where your business could be in the next year and make sure your web designer can give you flexibility to grow. Not so bad, huh? You probably already have half of what you need! When you have all your content ready before you book a web designer, your designer will be able to get to work right away. And hey, that’s the whole goal right? Want to make sure you’ve checked all the boxes? 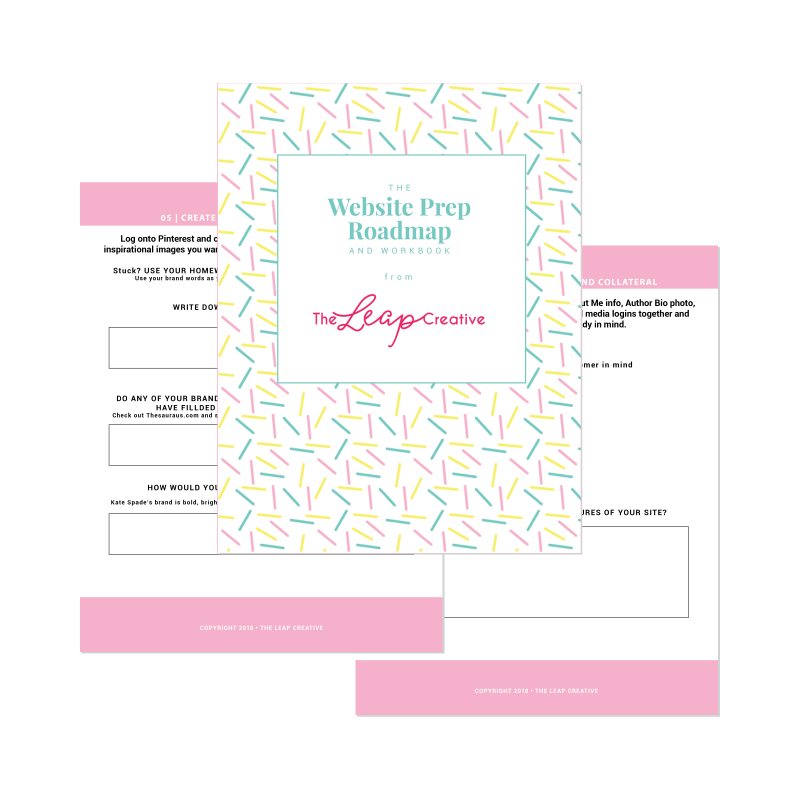 You can download my *free* Website Prep Roadmap & Workbook by clicking below!